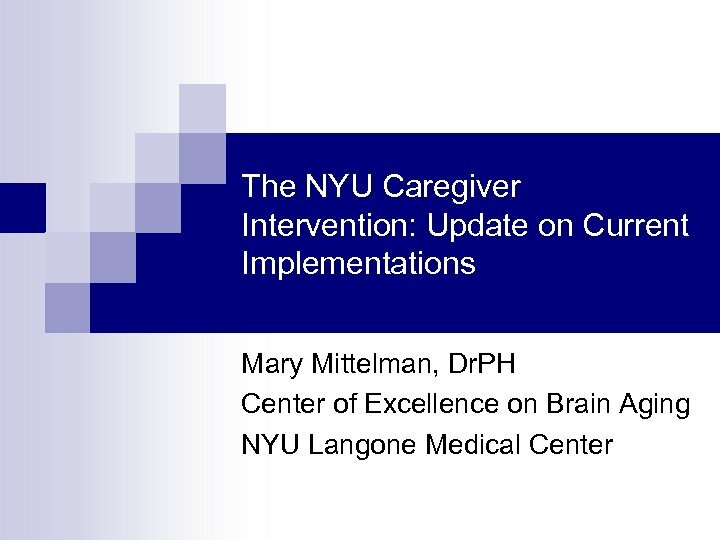 The Original NYU Caregiver Intervention n n n n Improved support for spouse caregiver at 4 months Improved reaction to problem behaviors at 4 months continued more than 4 years Reduced symptoms of depression at 4 months continued more than 3 years Improved self-rated physical health and fewer illnesses more than 1 year Delayed nursing home placement 1. 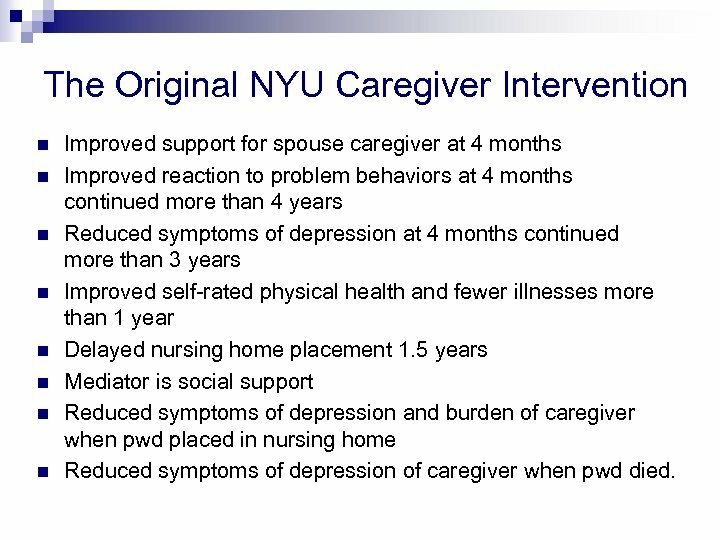 5 years Mediator is social support Reduced symptoms of depression and burden of caregiver when pwd placed in nursing home Reduced symptoms of depression of caregiver when pwd died. 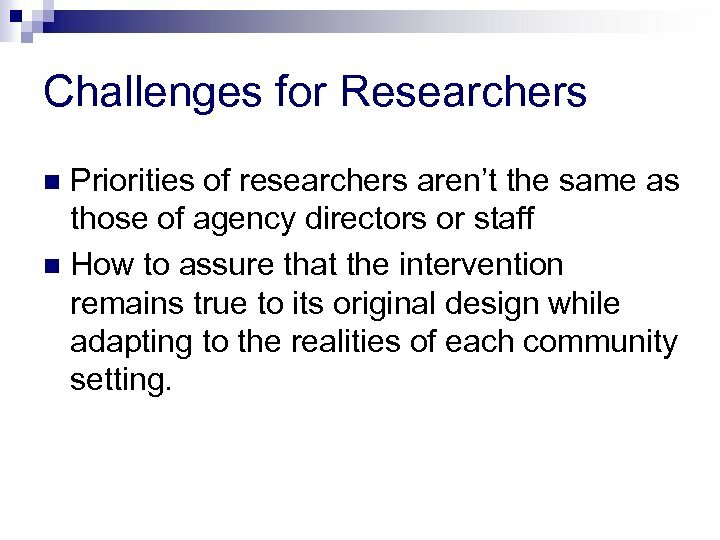 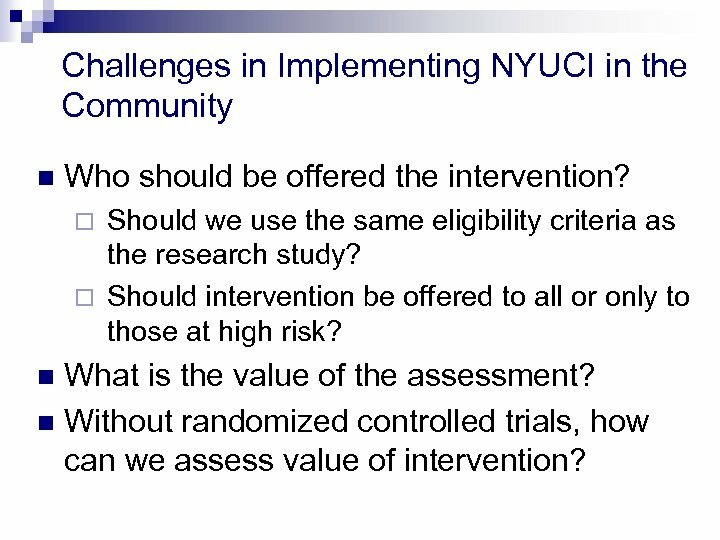 Challenges in Implementing NYUCI in Community Settings Cultural values n ¨ Drug treatment for illness ¨ Treat only the patient, not the family. 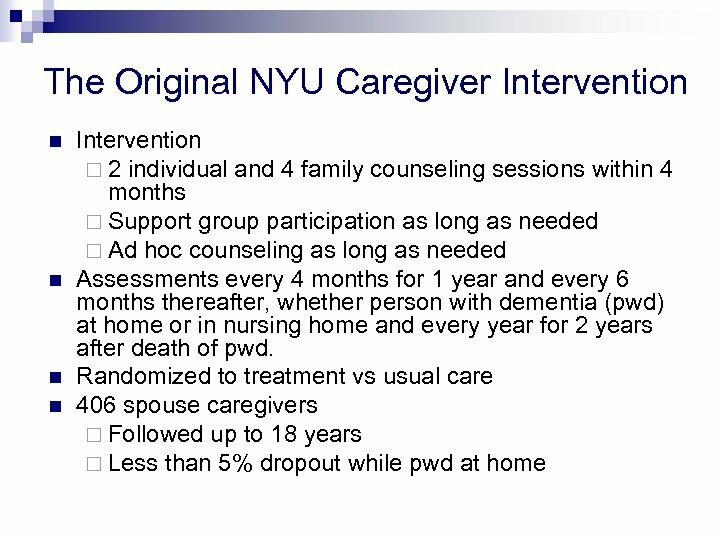 Physicians n ¨ ¨ Patients and families n ¨ ¨ ¨ n Reluctance to diagnose dementia Unaware of value of counseling and support for caregivers. 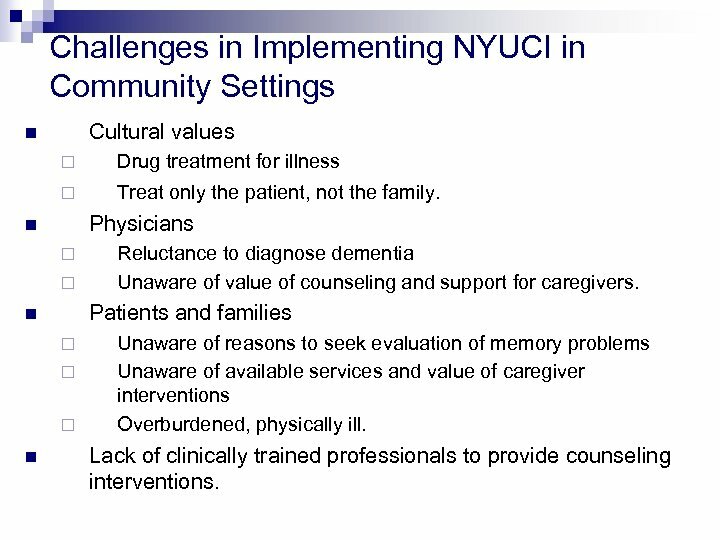 Unaware of reasons to seek evaluation of memory problems Unaware of available services and value of caregiver interventions Overburdened, physically ill. 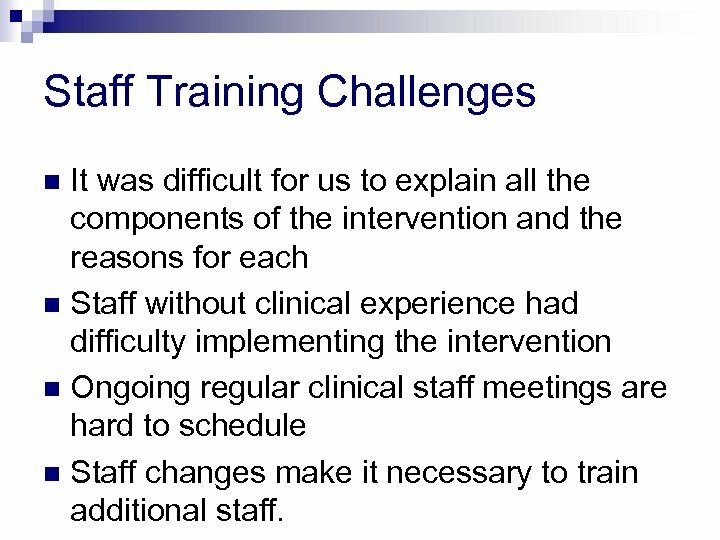 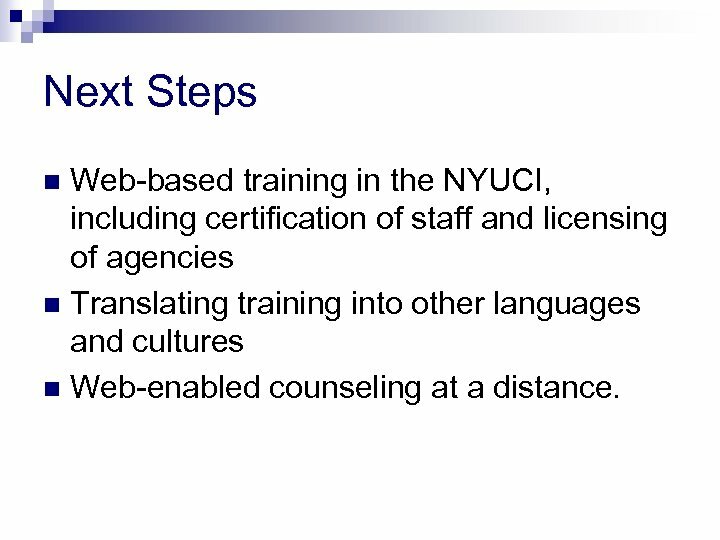 Lack of clinically trained professionals to provide counseling interventions. 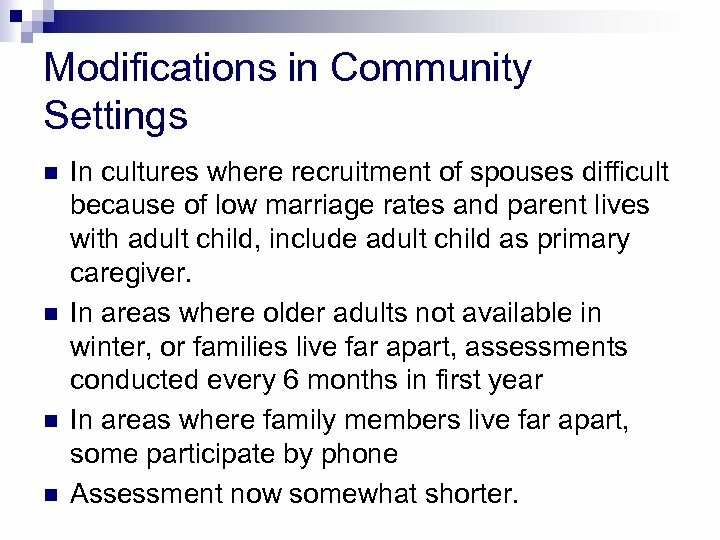 Modifications in Community Settings n n In cultures where recruitment of spouses difficult because of low marriage rates and parent lives with adult child, include adult child as primary caregiver. 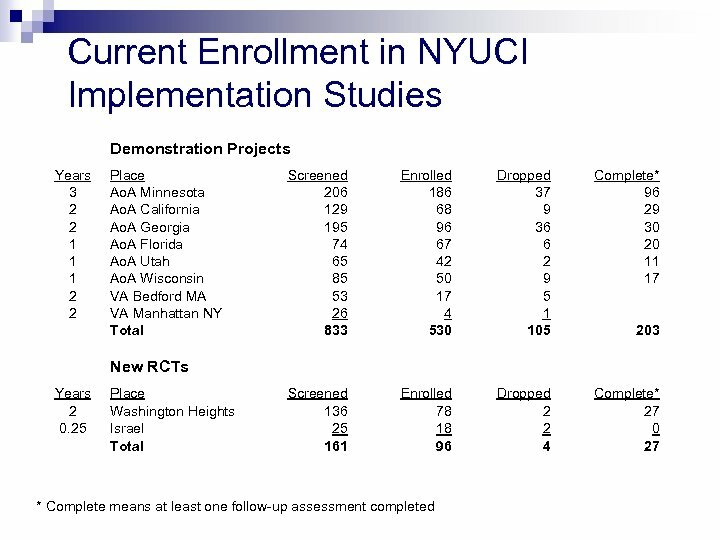 In areas where older adults not available in winter, or families live far apart, assessments conducted every 6 months in first year In areas where family members live far apart, some participate by phone Assessment now somewhat shorter. 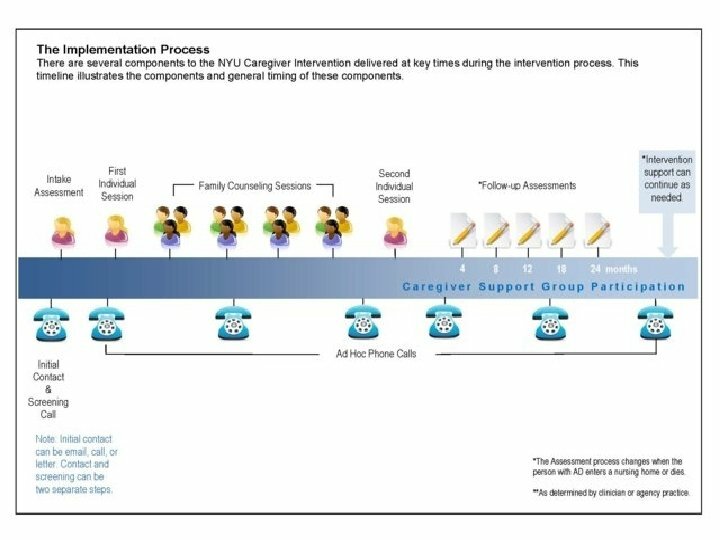 Counselors’ Comments n n While facing the heartbreak of dementia, we can help the family and friends stay focused as we gently guide and support them through uncharted territory to becoming a caregiving unit with new roles and norms. 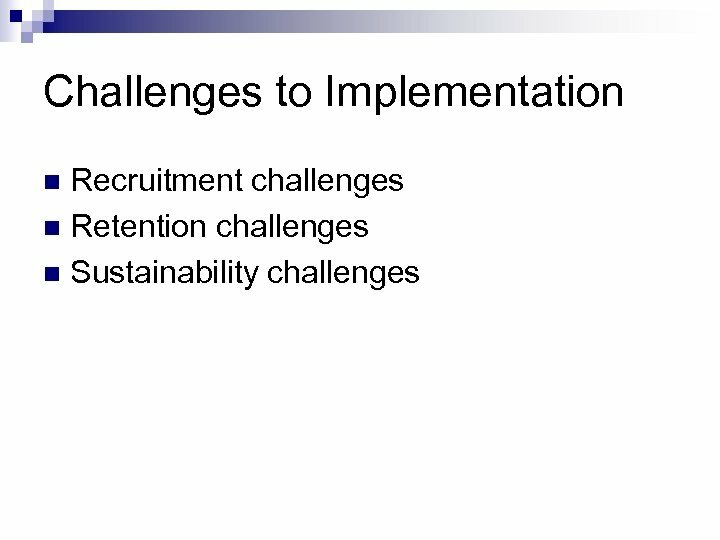 It is amazing to watch this process! 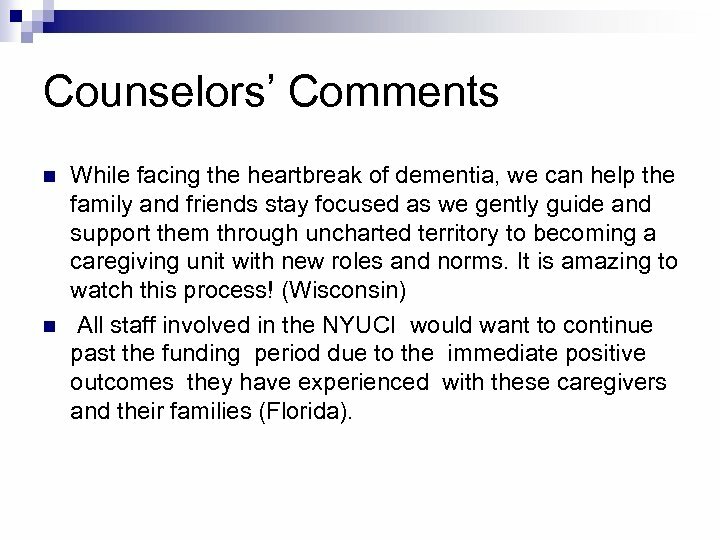 (Wisconsin) All staff involved in the NYUCI would want to continue past the funding period due to the immediate positive outcomes they have experienced with these caregivers and their families (Florida).